Scene also modelled in 3dsmax, multiple uv's and textures were used. 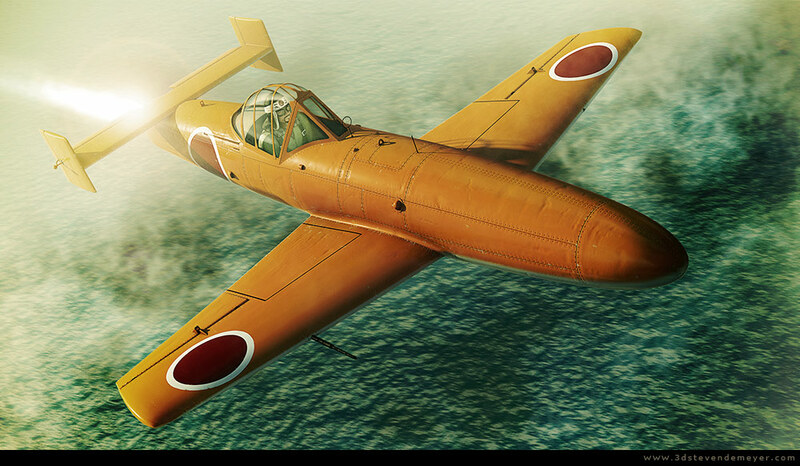 Final rendered image of the airplane, used photoshop for the postproduction pass. Below Another render of the airplane flying over the ocean, searching for a target. 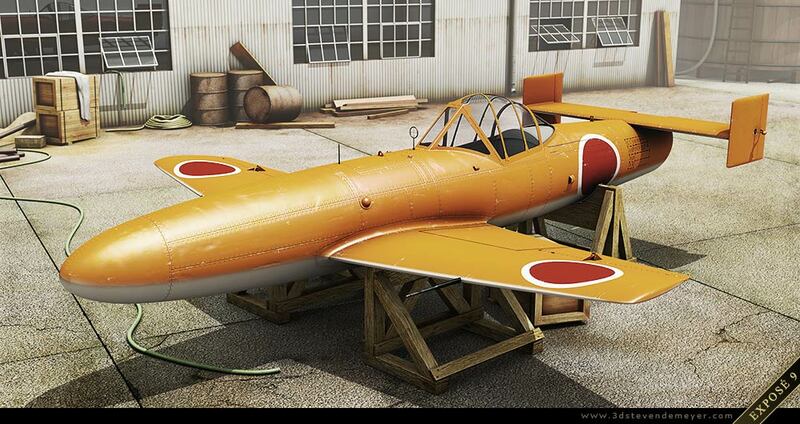 The japanese pilot was also created in 3dsmax.